Badger Cards have been out with the players for a few weeks now and are selling fast! Blitz Night is scheduled for Oct 17, 2018 starting around 6 pm, watch for the players out and about. If you have any questions please contact Melinda at 403-921-1612. Sept 4th and 6th from 6-8 pm Kristina from Kristina's Kreations will be available at the field for sizing of our 2018 Badger Apparel. Payment in full must be made before orders will be placed. The cut off for ordering will be Sept 10th at 8pm. If you have any questions please contact Melinda at 403-921-1612. SCFA Executive announced that Greg Zaugg has accepted a promotion from the PeeWee coaching staff to the Head Coach position of the Bantam team. Greg has been coaching with SCFA for a few years and had been the 2IC for PW HC Doug Thiessen. The Executive was informed by Mike Hopp earlier in the year that although he really enjoyed working with the program and players, that due to employment workload etc he would be stepping down as Head Coach. The Executive thanks Coach Mike for his hard work and dedication while with the SCFA Staff. 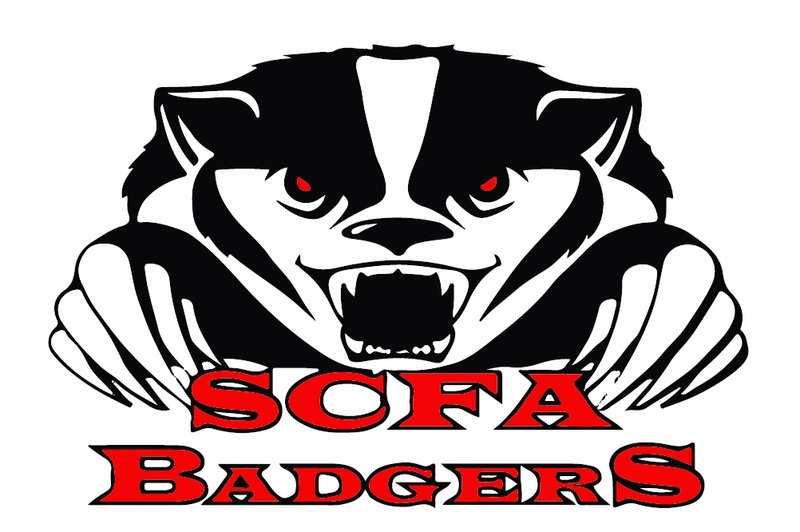 SCFA is happy to introduce Mike Hopp as the new Head Coach of the Badgers Bantam team. Mike brings in a broad playing and coaching experience, which we are happy he is able and willing to share. 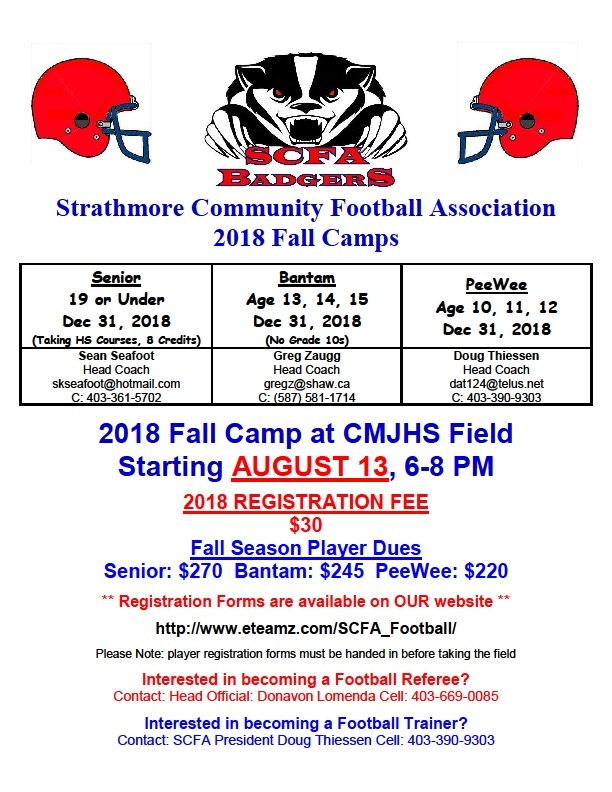 FYI Badger fall football will be starting up Aug 14!! See ya there! 2 Graduating Badgers sign to Junior Football Teams!